The 'Adopt-a-Potty' program has started for the 2019 season! Help pay for the potty services at Groeschel. Thank these guys the next time you use the restroom! Indoor Scale Contest (POY) at Lumen Christi (3:30PM) - April 14th! The May meeting will be held May 7th, 7:30pm at Bell's Nursery. The April winner of the Anchorage House of Hobbies' Pretty Plane contest is Ed Cunningham, with his 1911 Caudron Monoplane. Ed built this Stevens Aeromodel kit he purchased from Anchorage House of Hobbies. He plans to fly it in the indoor scale contest in the Sport Class. Contest date is 14 April at Lumen Chiristi High School gym, 3:30pm. 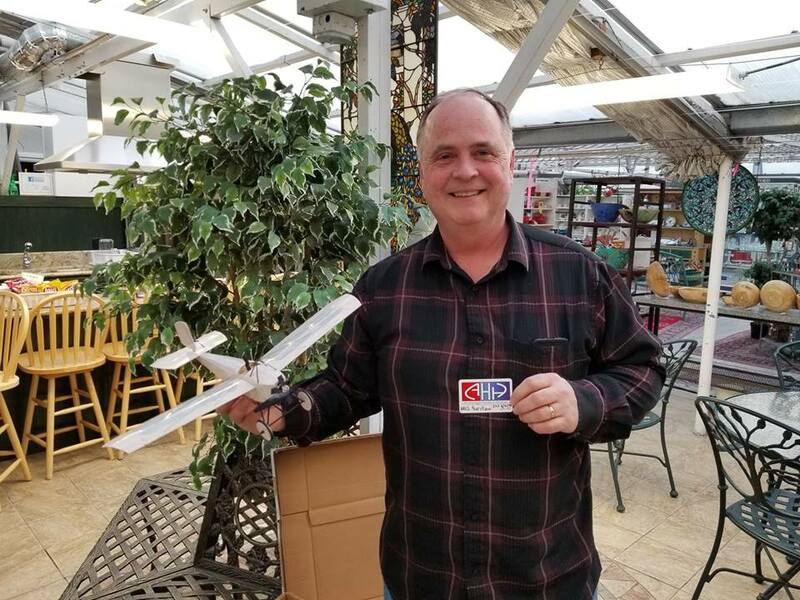 Ed took home a $50 gift certificate from Anchorage House of Hobbies for bringing in and sharing this cool model with the club! JBER RC REMAINS CLOSED UNTIL FURTHER NOTICE! The military implemented a new regulation as of late December 2015 that closes JBER RC field when the base is at threat level FPCON B (which it is currently) or higher. Do not attempt to go out there for any reason until further notice. We will be able to fly on base again when the threat level is lowered or when they change that policy. Base Ops and security has been alerted to not allow anybody to fly out there.